My Own Grave will support Harassed and Aeon at G:a Tingshuset (�stersund) on Saturday 7/5. We will embark on a European Tour together with Demonical and Deathbound in February 2010. Check out the poster here. We will play a warm-up show before heading out for the European tour. Support will be the killer, local band Cynical Hatred. 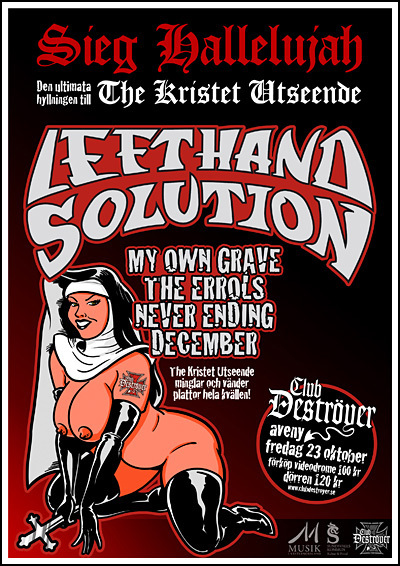 The show is arranged by Riot Club at Pipeline in Sundsvall.